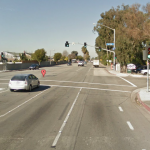 GARDEN GROVE (February 10, 2015) – Diep Nguyen died on Tuesday when she was struck by a car while walking in Garden Grove. Nguyen was struck around Magnolia Street and Lampson Avenue just minutes before 7:00 pm. 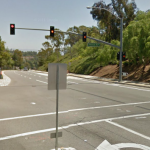 She was rushed to UCI Medical Center where she succumbed to her injuries. Nguyen, 60 years old, was a resident of Garden Grove. According to early reports, Nguyen was walking in the right side lane on Magnolia Street when she was struck. The car that struck her was described as a Toyota Rav 4, a mid-size SUV. The driver remained at the scene. Any witnesses should immediately contact the Garden Grove Police Department at (714) 741-5704.